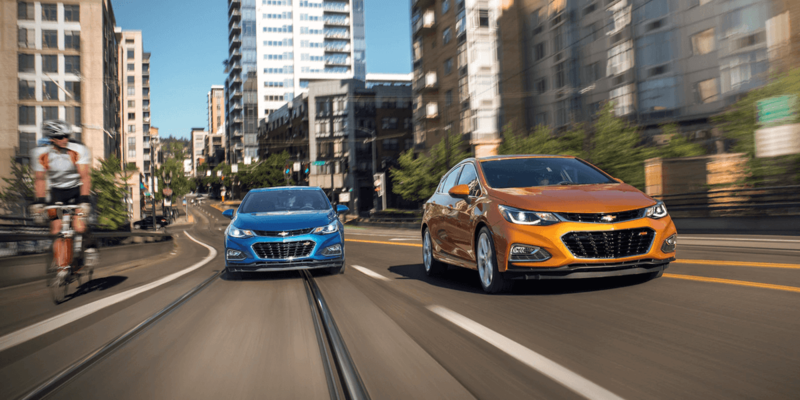 Learn exactly what the critics love about the Cruze, then visit Nimnicht Chevy in Jacksonville to explore our extensive inventory at your convenience. "You’ll like the Chevy Cruze if you’re looking for a quiet, comfortable, and fuel-efficient compact sedan or hatchback." "Its low starting price and long list of standard features make it a great value and a strong contender in the class." "After years of playing it safe, GM finally put the time and resources into building a world-class compact car every bit the equal of the Honda Civic, Toyota Corolla and Mazda3." Because this model has so much to offer drivers, it’s a better buy than competing models like the Honda Civic, Nissan Sentra, and Ford Focus. And since models are available for less than $20,000 and are easy to purchase thanks to our simplified financing, the Cruze is an option for more drivers in Orange Park. Contact us to schedule a tour and test drive or to get in-depth info from the team of experts at Nimnicht Chevy.